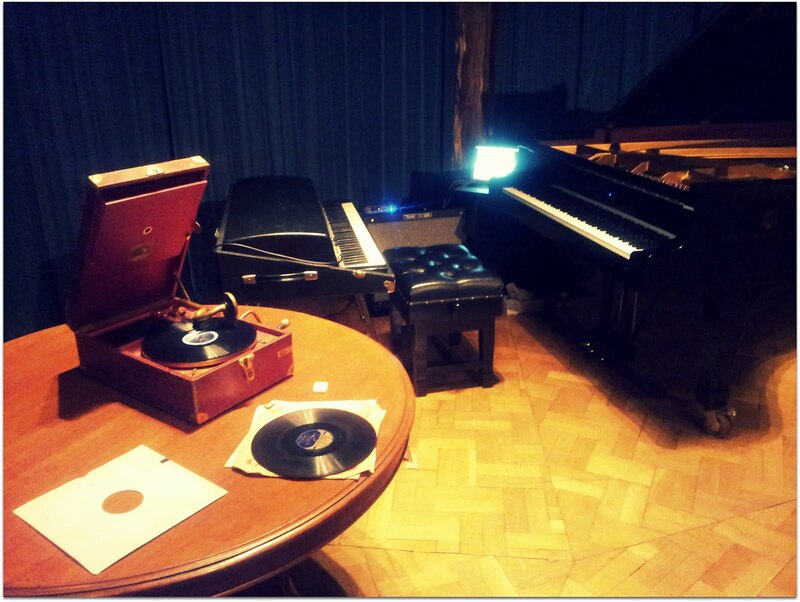 Steinways, and Fender Rhodes and Gramophones, oh my! Speaking of post-Culture Night Fugue, last night we threw caution to the wind and high-tailed it* down to Kilkenny** to see the opening night of the embarrassingly talented Mr Sam Jackson's Sharp & Flat tour, a special free gig as part of the Culture Night festivities. Accompanied by a drummer and upright bass, the night reminded me that however amazing the album is (and it really is), nothing can compare to the sound of hearing it live. Sam will be performing three more shows as part of his tour, in the National Concert Hall, Dublin on the 1st of October, in The Model, Sligo on the 5th of October and closing out with a night in the Druid Lane Theatre, Galway on the 10th of October. I'll be going along to the National Concert Hall for sure, and might just try to make it to one of the others as well. More details about the tour, and the album, can be found on Sam's website here. * By "High-tailed" I mean "spent close to two hours on a train packed with hen parties"